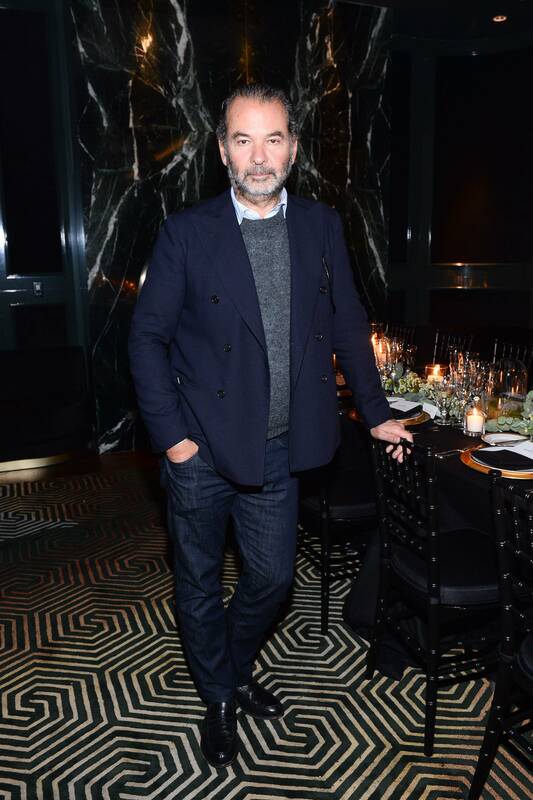 When Remo Ruffini bought Moncler in 2003, the winter-wear company was nearly bankrupt. Since then, the Italian entrepreneur has revitalized the brand: He introduced the world to statement ski jackets (the kind that cost as much as a mortgage payment but look equally sharp on the slopes as in a city), outfitted just about every celebrity out there (from Kanye to Lee Radziwill) and, in 2013, took the company public in one of Italy’s most successful IPOs (officially making him a billionaire). Now, he’s coming for Canada, with a new store on Toronto’s BloorStreet. At the launch of the glitzy outpost (all marble and mood lighting), he talked about competing with Canada Goose, life in his hometown of Lake Como and having Drake as a fan. Canada is an interesting market for us, for sure. For the weather, because it’s quite cold. It’s also the life of the brand. We want to go all around the world, in the best cities, in the best locations. We had our first store here, at Yorkdale, in 2014, then opened one in Vancouver in 2015. And we’re back on Bloor because we think it’s important to have a presence on the street. It’s a very luxurious street. Canada can be a challenging market, though. For one, it’s relatively small. For another, there are already a number of domestic, luxury ski-jacket brands – Canada Goose, Moose Knuckles, Mackage. How is Moncler setting itself apart? This is my first time in Toronto. Honestly, I was not very familiar with the brands you are talking about, except Canada Goose, until today, when I toured around. I don’t see them as competition. I think we all offer completely different products. We aren’t just focused on parkas, for example. We make different jackets, for different uses – kids wear, skiing, snowboarding, or more sophisticated looks. We have a different attitude. I think they are interesting, but we are offering different products. When you took over Moncler in 2003, it was near bankruptcy. What made you interested in the company? Moncler was founded in 1952 in France. When I was young, it was a very, very popular brand in Italy, and all over Europe. It is very tied to my generation. In the winter, when it was -10, -15, I would wear Moncler. And I had good memories of that. So when it came available, I wanted it, and we made an offer.